Ready to take your back development to the next level? This workout blends free-weight and bodyweight pulls to build the kind of back that will stand out in any crowd! Growing up, I was always motivated to get better. I wanted to push my physical limits and discover what was possible, and I wanted to see if I could get stronger, build muscle, or obtain a physique like the guys I saw in the magazines. I trained for sports and at the gym for years, but I didn't really get my eyes opened to the full power of fitness until I moved to Santa Monica, where they have an entire outdoor bar park on the beach. The first day I was down there, I saw guys doing epic, amazing things on the bars: flipping around, doing tricks, and performing feats I couldn't understand. I just knew it looked awesome. Right then, I was like, "Ooh, I want to do that." So, I started doing bodyweight and bar training, not just barbell. It was kind of a change from my normal fitness routine, and it totally changed my perspective on fitness. Instead of just going to the gym to lift weights and get stronger, I was actually trying to learn a skill and use my muscles to do something. Fitness in general became more than just going to the gym. I'd go to the gym to build muscle, and then I'd go to the beach to do bar work and make that muscle functional—make it work for a specific feat or skill. It changed everything for me. If you want to get into bar sports and tricks, there's no getting around it: You'll have to practice that style of training on a regular basis. To that end, I've spent a serious amount of time in gymnastics gyms, parkour or free-running gyms, and down at the beach on the bars. But to get strong at the bar, you'll also have to get seriously strong, period. A solid gym-based back workout like mine can definitely help you build that foundation. I like to train weighted movements first, followed by bodyweight movements. In my Functional Muscle back workout, you're going to do four weighted exercises, followed by four bodyweight exercises, with the same rep ranges across the movements in each groups. The weighted movements are going to build muscle, and the bodyweight movements will make that muscle functional. Single-arm dumbbell row: A key point with this movement is to reach forward with the weight when doing the bent-over row, instead of letting the weight drop straight down. By reaching forward a little bit, you fully stretch and engage your lat muscle, getting a better workout and resulting in greater muscle gains. Bent-over barbell row: When doing this movement, bend over as much as possible while keeping your back as flat as possible. I try to set the bar down gently between each rep to get a full range of motion. I find that if I cut the movement short, I don't fully engage my back muscles. 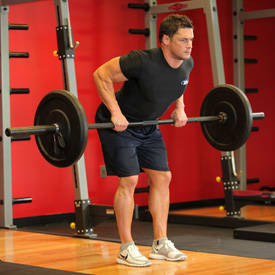 Deadlift: When I'm training with weights, I try to engage every portion of a muscle group to fully develop that muscle. For example, with back today, we're training both the upper and lower portions of the back. 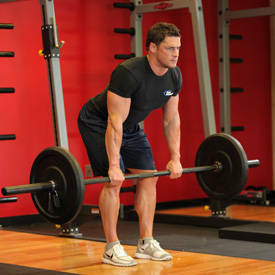 The deadlift hammers both, and it'll give your hamstrings and glutes a nice challenge, as well. 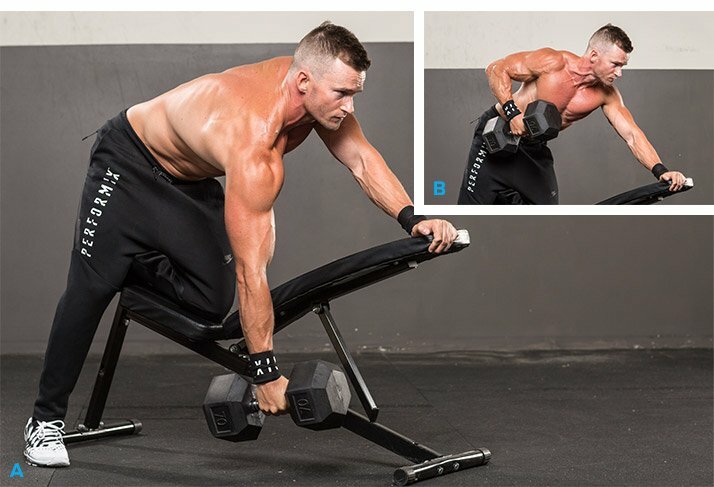 Dumbbell pull-over: When doing pull-overs, try to maintain a slight bend in the elbows throughout the movement, restricting most of the action to the shoulders and lat muscles. End with the pull-over, because it's the easiest of the four weighted movements. It also provides a stretch that prepares you to jump into bodyweight movements. 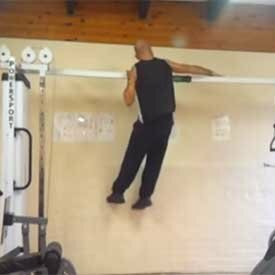 Archer pull-up: At this point, you should have exhausted yourself doing typewriters, so you're going to use that last bit of strength you have left to practice the archer pull-up, which is basically just the pulling portion of a typewriter. But it's also a great movement in its own right that will build serious strength in both lats and arms. 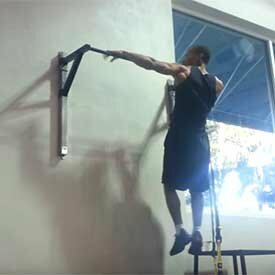 Alternate exercises: pull-up, mixed-grip pull-up. 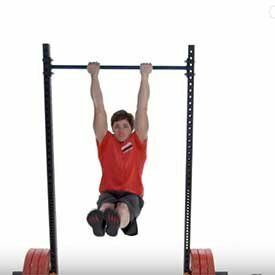 Muscle-up: At this point in the workout, you'll feel tired, but keep your form as strict as possible, and try not to kip. 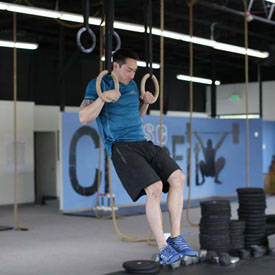 When repping out muscle-ups, especially during this workout, it's good to use momentum to help you keep your form. 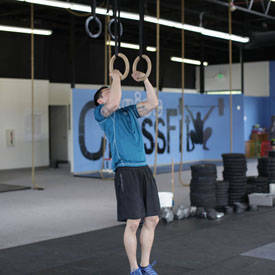 Alternate exercises: muscle-up negatives or muscle-ups starting with a jump from a box or step. 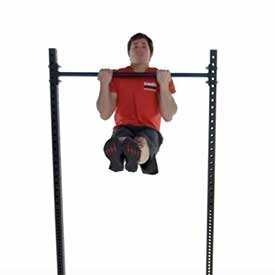 L-sit pull-up: I end with L-sit pull-ups because they're the easiest of the four movements—although that definitely doesn't mean it's straight-up easy. But it's a relatively simple movement. 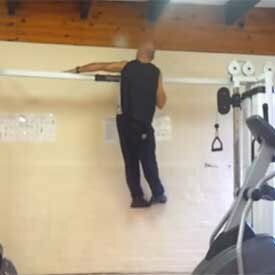 All you're doing is a pull-up and adding a V-sit to it. 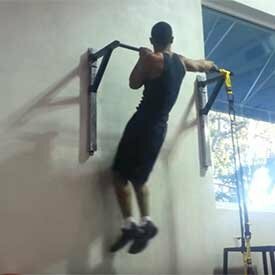 This makes the pull-up harder and trains the core at the same time. Keep your grip for this exercise pronated, or palms-forward, with the hands just wider than shoulder width. Alternate exercises: bent-knee pull-up, L-sit hang, bent-knee hang. If you want to build the type of strength that can carry over to serious bar work, you're going to have to make back work like this a high priority. I recommend doing a workout like this at least once a week, if not twice a week. If your schedule allows twice a week, it's going to create maximum gains, but if you can only do it once a week, that's totally fine. Stick with it for a few weeks or until you're making serious progress on the advanced moves like typewriters, archers, and muscle-ups. I'll see you down at the bar! Shop Performix Products In Our Store!